For more details contact: Sr Katrina Brill or Sr Christina Neunzerling. Anyone considering membership in the Congregation as a Sister of Saint Joseph, after due consultation may begin a ‘journey’ of discernment and immersion. The woman will be accompanied on the journey by a Josephite Sister who will act as a discernment guide. Her journey will take as long as is needed for the woman and the Congregation to discover whether God’s call to her is to be a Sister of Saint Joseph. The programme of the journey will be designed to suit the woman’s personality and needs. As a Sister of Saint Joseph she will profess publicly the vows of chastity, poverty and obedience and live them according to the Constitutions of the Congregation. With the support of the Josephite community she will express her vows in a life of joyful, loving commitment to God’s mission. 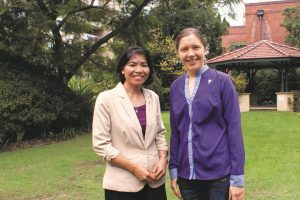 Her ministry will be particularly among those for whom Mary MacKillop and Julian Tenison Woods founded the Congregation – those people struggling in their lives, those with scarce resources, those on the edges and those often overlooked in our society. 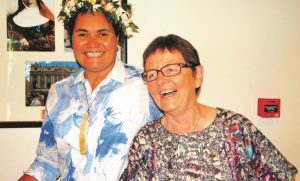 As a Sister she will be mobile for the sake of the mission, meaning she may be called to live and minister in places away from her hometown or country.